The Seasonal Essence rainbow art panels feature a lovely rainbow color pattern with purple, orange, green and blue color highlights. 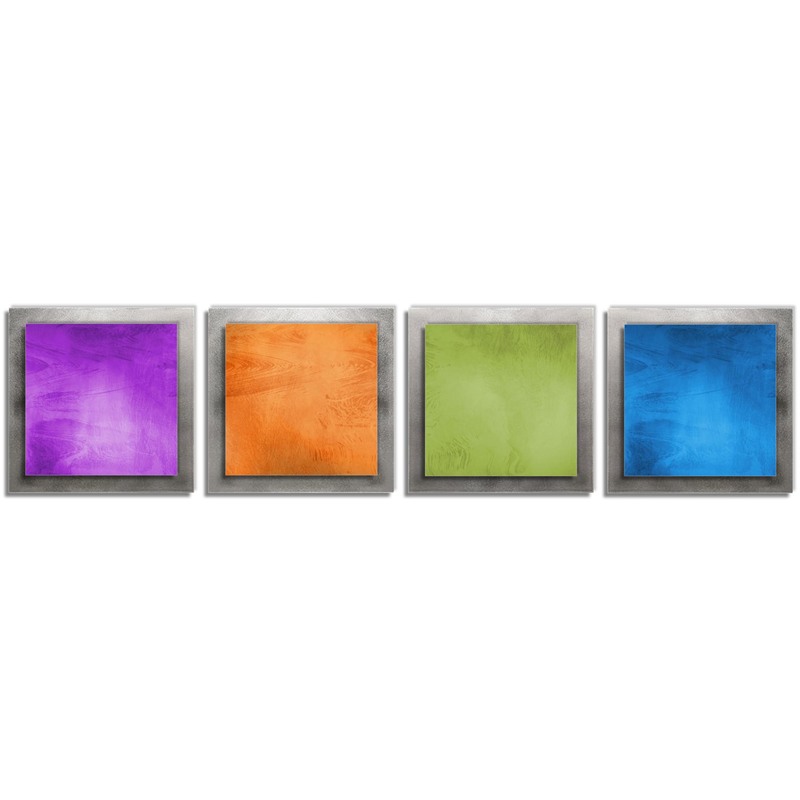 The vibrant colors of this metal piece offer a refreshing modern accent to any space. This contemporary was designed by world-renowned metalworker NAY and made in the USA by Metal Art Studio, with artisans specializing in minimalistic design, contemporary wall art and modern feng shui. The raised, layered panels of this quadtych art piece add unique texture and character to the wall art sculpture. The multi-color style creates a beautiful rainbow display - a lovely spring accent against virtually any wall. The satin matte coloring process features subtle swirling patterns. These multi-panel metal wall sculptures allow for flexibility in orientation: some choose a traditional horizontal line, others prefer a vertical line, while others still arrange the metal panels in a more sporadic or random layout. The colors can be aligned (as seen in the photographs) or they can be rotated according to your preference. 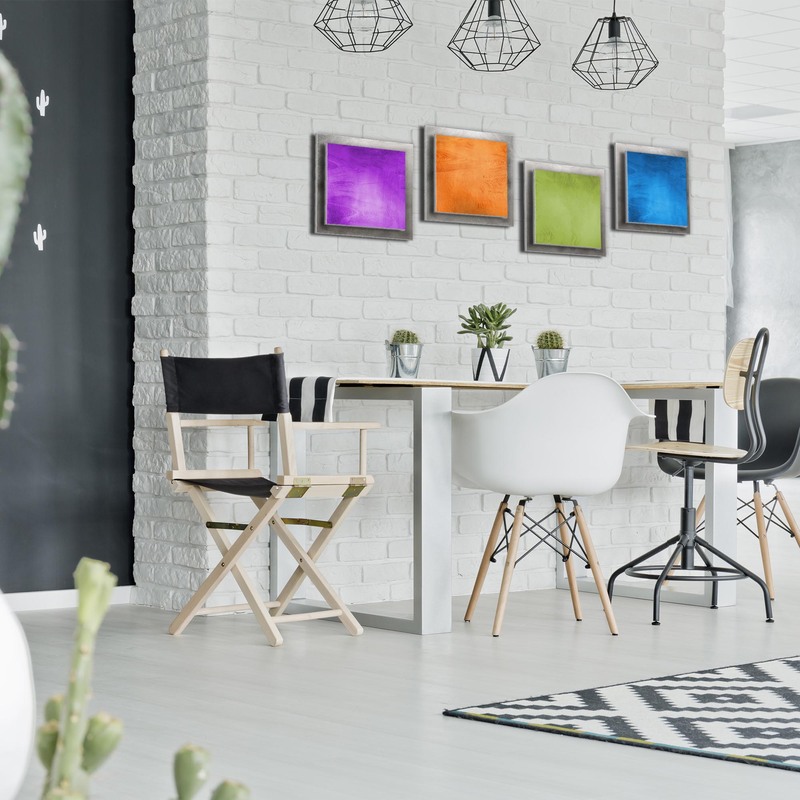 Regardless of the orientation on your wall, the contemporary art design and enlightening rainbow colors of Seasonal Essence will be an obvious conversation starter on your wall as the art piece accents the Decor of any contemporary, modern or abstract home or office.